– Booking / Inquiry Form! 3 days 3 lakes ALL SPECIES carp, cats and predators. KP Lake is a great destination carp fishing in Bangkok, with plenty of different carp species to catch. Due to its distance from Bangkok we offer this as a 3 day trip and 2 nights in an upcountry hotel. Anglers are welcome to use bait fishing or fly fishing tactics at this lake. NOTE: Fly fishing tackle is NOT included. Day 1: Pick up at your hotel at 1.00 pm. Four hours drive to the destination. Overnight hotel. Day 2: Full day fishing for carp species. Overnight hotel. Day 3: Full day fishing for carp species. Transfer back to Bangkok. Arrival in Bangkok around 10.00 pm. Fish species you will target: Siamese giant carp, the rare Jullien's Golden Prize carp (Probarbus jullieni), , Catla carp, Rohu, Chinese Common Carp, Bighead carp, Silver carp, Java Barb, Mrigal, Giant Gourami, and Black Sharkminnow. The mighty Siamese Giant carp (One of the world's largest freshwater fish species) is the main target at this lake where anglers can enjoy a super relaxed atmosphere and very good carp fishing. CONTACT US NOW for pricing and booking information. We look forward to seeing you fishing in Thailand with us soon whether you are a match angler, species hunter or big fish specialist Join us at one of the many unique and amazing fishing parks, lakes, rivers, reservoirs and dams that are here in Thailand. 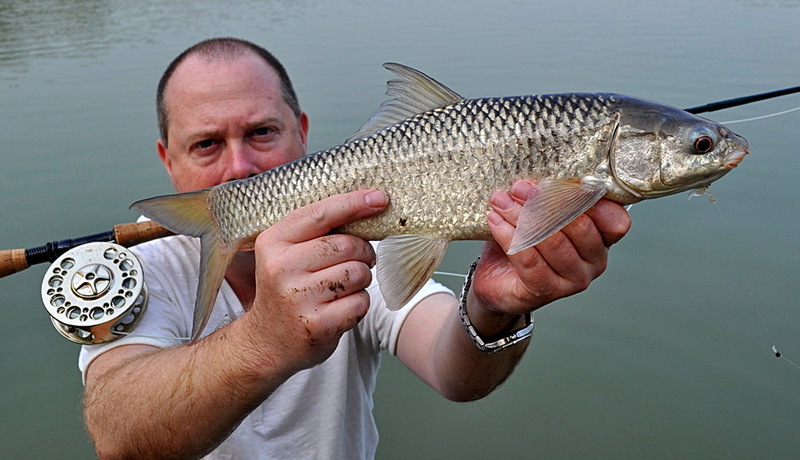 There really is an unforgetable fishing in Thailand experience for all anglers at all levels from all backgrounds. 3 DAYS (3 LAKES) ALL SPECIES carp, cats and predators. 4/5 Day Snakehead Fishing Adventure. Arapaima and Chao Phraya braces to start the new year.